Has the recent reporting of European politics left you wondering about the origins of the word “Brexit”? Brexit is an addition to the ever- expanding English Lexicon. “Should I stay or should I go?” these words might evoke the tones of a 1981 punk rock hit The Clash. In 2016 however, they’re an apt catchphrase in British politics. 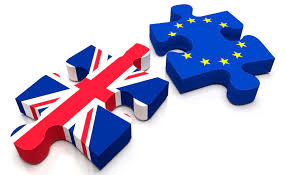 After several years of debate fuelled by so-called Eurosceptics (politicians unhappy with the UK’s membership in the European Union), we have finally seen a vote that decides if Britain will be in or out of the EU. The coinage Brexit is a tongue-in-cheek reference to Great Britain no longer being part of the European Union…the British exit from the EU. Following through on its re-election pledge back in 2013, the UK’s Conservative government confirmed a referendum on EU membership would be put to public vote on the 23rd of June 2016- and with it the word Brexit gained renewed vitality and a growing presence across the headlines and our vocabulary. Whatever the arguments for and against departure from the EU, the serious business of making a real decision has delivered a flurry of lexical fall out. Those in support of the split have been dubbed brexiters, or even brexiteers, a light-hearted combination of Brexit and pioneer. The other side of the camp, the campaign to retain the UK’s membership in the EU has been nicknamed Bremain (Britain and remain), with those supporting it correspondingly described as Bremainers. The term Brexit first appeared in June 2012, on the model of Grexit, a term which had appeared earlier in the year in reference to the possibility of Greece leaving the Eurozone. Grexit has also inspired the word Fixit in relation to Finland’s ongoing deliberations on Eurozone membership, and more recently Czechit in relation to the Czech republic’s relationship with the EU. Brexit reflects a growing trend in recent years of coining a catchy new expression to appealingly characterize a topical scenario. There are many more expressions similar to these, appearing and disappearing with the ebb and flow of current affairs, but more popular and prolific than ever before because of their visibility and propagation via the web.